A Danish doctor is teaching Tunisian fishermen how to rescue refugees and migrants from sinking boats in the Mediterranean and how to take care of the bodies of those who have drowned. Mads Geisler works for the international humanitarian organisation Doctors without Borders (MSF) in the coastal town of Zarzis in southeastern Tunisia. As more and more people choose the dangerous road to Europe across the sea, local fishermen, who are often poverty-stricken themselves, have to deal with the effects of the refugee crisis. “It can be both life-threatening and traumatic for the fishermen to approach a sinking vessel on the high seas with hundreds of people who may be panicking,” Geisler told Politiken. 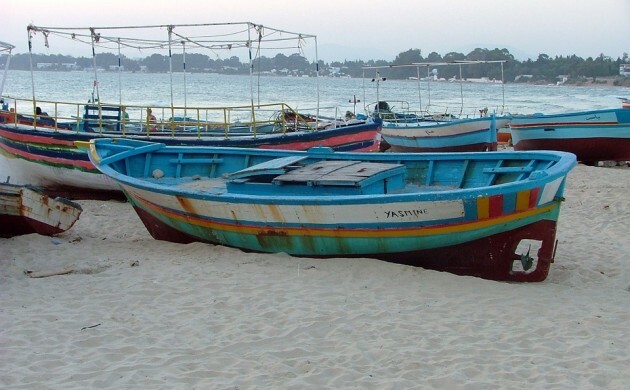 Despite the best efforts of the Tunisian coastguards, Geisler believes the current situation is “unsustainable and totally unacceptable”. Since 2015, MSF has trained several hundred fishermen in search and rescue operations and dead body management. The fishermen have learned how to give first aid to survivors and how to treat and bury the dead bodies safely and with respect. “Many of them are very concerned about their own health,” Geisler noted. Last year, over 1 million migrants managed to cross the choppy waters of the Mediterranean to Italy and Greece. The International Organisation for Migration estimates that some 4,500 people have died trying to reach Europe across the sea since January 2015. The UN refugee agency has reported that some 500 migrants may have drowned in the Mediterranean last week, according to the testimonies of 41 survivors who were rescued by a merchant boat near Greece.